How to Use Google AdWords Account for E commerce – Google AdWords is a very effective medium to drive immense traffic towards your website if done right. You can make big or nothing that is all dependent on how you use your AdWords account for ecommerce. If you have no idea on how to use Google AdWords account for ecommerce then we are here to help you to the most extent. AdWords is a popular Google’s advertising network that lets people or specifically the online retailer to advertise their products on every search engine results. You can use it in a brilliant way to get desired results. The only thing you need to know is the basics of the AdWords account and then you can easily beat your competition. Google AdWords is an advertising service by Google itself for those who wants to display their ads on advertising networks and Google. 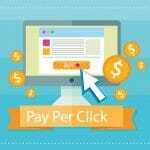 This program enables people to set and budget and pay only when the customer clicks your ad. This service is majorly driven by the right keywords. If you will use this smartly then it has unlimited benefits to offer. There are so many advertising networks in the online world to choose from. But no many will give you the same platform and faster results than Google Adwords. You need to sign up, put up the ad and it will be shown in the search engine results immediately. But people often make many mistakes while doing it. So below mentioned are some of the tips to ponder on for using it in the right way. First things first you need to focus on the major things after signing up is the headline, descriptions and the display URL. These all play a very important role in driving the people’s attention. More creative and unique will be your bio, more attention you will get. If you are newbie with a lot of aspirations in your head then make sure you choose the right budgets and keywords that you can manage easily. Start a manageable campaign and then dream big. This will help you to understand the basics. Next important thing is choosing the right keywords. Popular keywords are already in much demand so what make your keywords grab more attention? You need to add creative, unique and relatable keywords that are capable of driving major traffic. Tracking is yet another major thing that people often ignore while handling the Google AdWords account for E commerce. You have to track the conversions to get the feedbacks of your efforts. If the results are negative then look for what is wrong and work on it. You can ad extensions to increase your click through rates. 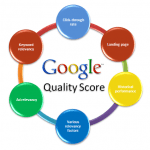 As Google AdWords comes with amazing features so it is really easy to implement things. Do not forget to use negative keywords to reduce and costs and eventually increasing the returns on investments. Optimization is a crucial thing to do if you want better and improved results. Optimization of landing pages is extremely necessary. Know your customer’s interest and posts relevant ads according to it. Also do not ever make the mistake of posting ad which is out of stock. This can lead to bad reputation of your E commerce business. The times have changed now and people have left behind the old ways of marketing and it high time for you to do the same. Google AdWords is an amazing platform to showcase your products and services and reach the target audience. So if you were looking for the tips to use Google Adwords account for E commerce then I hope this might have been helpful for you. Above mentioned are the best steps that you can follow to drive major traffic and eventually get more profits. So go ahead and follow them now to improve your online business.